You know those Chevy commercials with Howie Long? The ones that take place in the dealership pitting Howie against a small mob referred to in the third person as “Everybody”? Well in those commercials, there seems to be a key person missing – the dealer. And with good reason. The dealer, along with the general manager and the dealership are irrelevant in my opinion. How irrelevant? Enough that I’ve bypassed all dealership interaction through vehicles I’ve owned over the past 5 years. Yet sometimes, a dealer may get a product so tempting to check out, that you can’t help but pull into the lot while their open. This was my experience on Thursday, when a 2010 Camaro LT with the RS package caught my eye. Pressing on the break, I turned in and parked my car in plain view of the salesman. Now let me preface, I drive a pretty nice sedan that returns the favor when I turn it on (car buffs will get the clues). I’m in no way looking to trade, sell, or give away my vehicle. 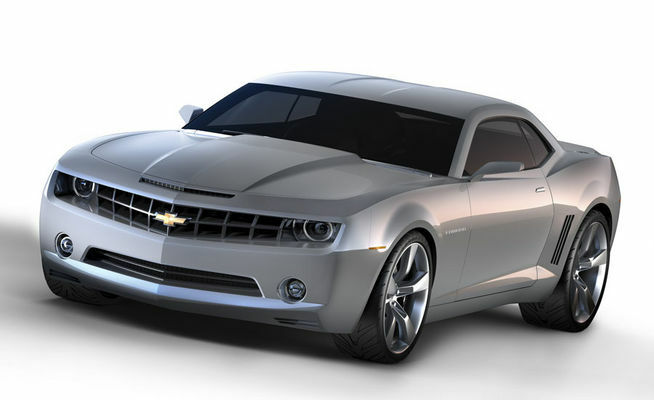 I was curious however as to how the new Camaro looked in real life because given the extreme value of the car ($22,000 for 300 horsepower and 29 mpg!!!) I couldn’t help but stop and ponder what I’d buy next when my lease is up in a year. So of course, like clockwork, the salesman asks if I wanted to see anything. I kindly explained I just wanted to see the new Camaro. Checking out my current car through the window he slyly suggests he could buy me out of my lease and put me in a new Camaro for the same price I’m paying now. Only one issue. He’s talking to me about car payments instead of price of the car. Now again let me pause for a moment. For those who know me, I’m a car geek. I know all the marketing speak, all the upsell touchpoints, and all the costs associated with them (30 years of Car & Driver magazine will do that to you.). So just eyeballing the Camaro on their lot, I knew that a loaded to the brim V6 with the RS package (20″ rims, halo light effects) would come in around 28 with leather. I lol’d. Correction, I LMAO’d. I explained that there was no way I was going to pay a penny over 27. In fact when I buy a Camaro, or a Mustang, or a Charger, I fully expect to pay $500 below invoice. If not they don’t get my business. So the salesman explains to me in calm slow speak – he is only getting 12 a year in his dealership. The “market adjustment” as he referred to it, was meant to keep demand high to balance his lack of supply. Easily this was the most asanine argument I’ve heard. I explained that I was not willing to pay $6000 over MSRP sticker for the honor of driving a Camaro. If there was a level of exclusivity, maybe. If this was some limited edition variant, say a Z28, then maybe I could see a premium to get my hands on one, but this one I called like I saw it. And in trimes of recessionary pain, greed is not good my friends. I asked the salesman how many Camaros he’d be receiving again. He said 12. I retorted that in a year I’ll have 12 to choose from since he won’t move a single one off his lot with that mark up. I’m not the only one who experienced this though. A number of bloggers walked into their Chevy dealerships, probably for the first time in years, only to be slapped in the face with an on average $5000 price tag over MSRP. 1. Customers driving around in their cars vs. keeping one on the lot collecting interest.